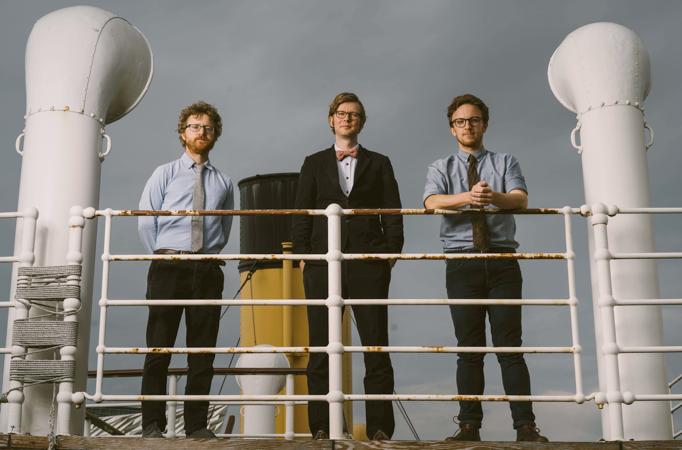 Public Service Broadcasting have confirmed plans for their new EP 'White Star Liner'. It's been a busy summer for the band, playing a stunning set at Green Man and completing a Titanic themed commissioned for BBC's Biggest Ever Weekend. Indeed, this latter project prompted their latest release - 'White Star Liner' was of course the name of the company that managed the Titanic's ill-fated maiden journey. A four track EP, the material was debuted during their Titanic themed show in Belfast, and will be released Play It Again Sam on October 26th, with a vinyl drop to follow on December 7th. Title track 'White Star Liner' is online now, and it's surging energy recalls the ship's proud bow cutting through Atlantic waves; interspersed with clipped vowel spoken word, it's sheer Public Service Broadcasting. For tickets to the latest Public Service Broadcasting shows click HERE.